Lisbon was a dream, this city was definitely the most picturesque city I been to so far. I couldn't put my camera down. Every inch had character. 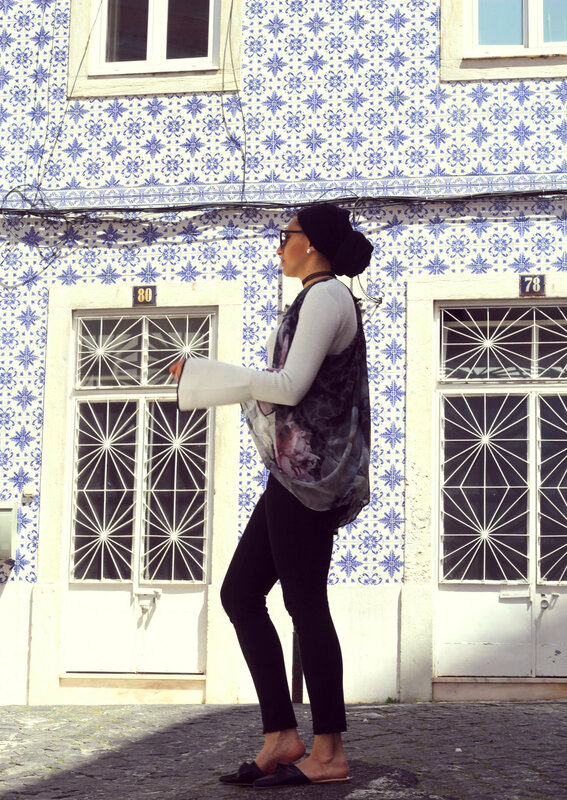 The buildings were embellished with beautiful Arabesque tiles, and the weather was just perfect. On this trip I decide to get creative with my Karama scarves that's way I decided to turn them into a vest! How cool, right? I will do a video tutorial soon. I didn't get a chance to vlog and to be honest I didn't know if I wanted that pressure to start vlogging on my trips because it can be a bit stressful. It can distract me from being in the moment. However I do want to know if you guys prefer to see more vlogs, let me know in the comments. Here are some pictures I took with my phone. I hope you enjoyed the pictures. I know I went overload haha. I will be posting the other days soon.